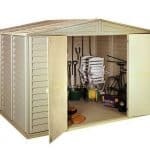 Looking for a Keter store it out plastic garden storage unit? A fantastic storage solution for the smaller garden or as a secondary storage piece, this extra-large garden storage box can house all of your garden accessories and/or tools, making a neat addition to your garden or outdoor space. This is a useful garden storage piece and affordable too. 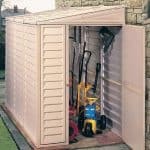 Often purchased as a secondary storage option or ideal for those with limited garden space it will store light garden equipment and furniture or children’s toys with ease, it can also be used to store rubbish bins too. 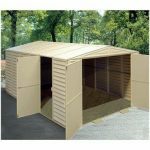 Completely maintenance free and weather resistant this is built to last. It is constructed from strong polypropylene resin which is UV stable it will stay the distance. Manufactured in complementary cream and green colours that will blend in with their natural surroundings, this garden storage box makes an unobtrusive addition to your garden. With the ability to access your items from both the top opening and the double-fronted opening too, storing larger and awkward shaped items and finding smaller items is no longer a problem. Perfect for smaller garden accessories that maybe require seasonal storage, such as seat cushions and pads, lighting and garden toys, as well as year-round storage for tools or even bins. This fantastic garden storage box offers many features that may benefit your current storage issues. Below the team at whatshed.co.uk identify and discuss these many features and help you decide if this garden storage box is the right storage device for your particular needs. Exterior: The exterior of this plastic garden storage box is hardwearing and maintenance free, ideal for an easy storage solution or secondary storage. The green and beige colour of the box will blend into its natural surroundings and offers UV protection. 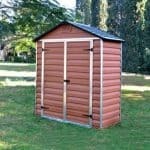 The durable plastic will not rust, stain, dent or peel, and is suitable for all year round weather conditions. Interior: The 1300L interior is a superb space in which to keep your items neat and tidy. With a multitude of uses, from garden and outdoor equipment to garden toys and accessories, this extra-large sized box will store it all. It will even accommodate two full-sized bins, providing a solution to keep ugly bins out of sight within your garden. Doors: The box is particularly handy with two separate sets of doors, one lift-up door on the top and double doors to the front. The top lid is safety hinged, meaning it will stay open for you to be able to access your items with both hands. 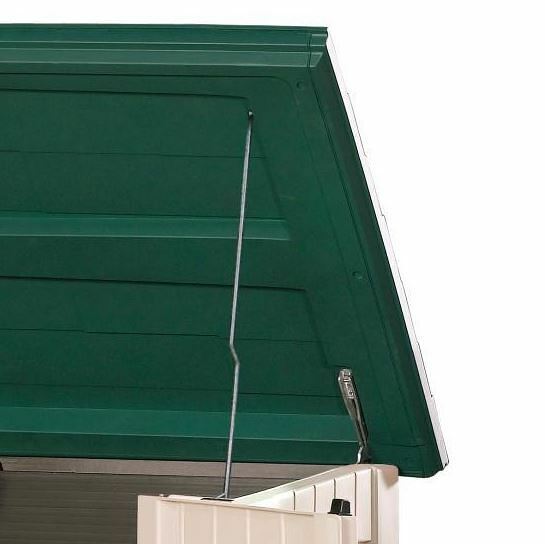 Security: The secure rubber catch on the lid makes sure that all three doors are firmly shut for your peace of mind. If further security is required, it is possible to add a padlock to the catch. 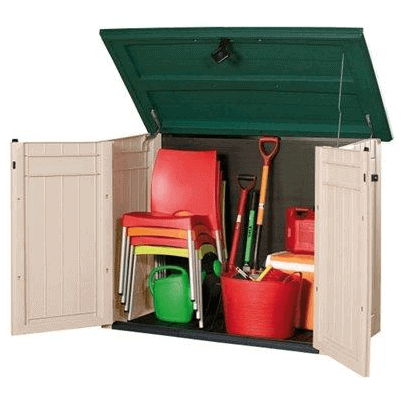 The Keter Store It Out XL Plastic Garden Storage Box: How easy to build? If you are nervous about even the smallest DIY projects, assembly couldn’t be easier with the Keter store it out plastic garden storage unit. With easy-to-handle parts and simple assembly, you can easily put this storage box together single-handedly. Your package will be delivered directly to your door and contain all the main parts flat-packed as well as all of the fixtures, fittings, nails and screws required for assembly. A basic tool kit will be required and we expect that this storage box could be assembled within just a couple of hours following the step by step instructions. 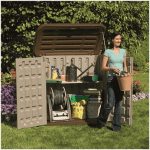 The Keter Store It Out XL Plastic Garden Storage Box: What is the overall quality like? 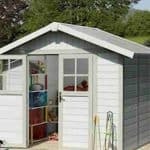 Keter design and manufacture well-designed and practical products for the garden for the whole family to enjoy, including sheds, playhouses and garden storage solutions. This extra-large garden storage box is a classic example of what Keter does best, a product that looks good, is well made and provides a fantastic solution to your storage issues. The tough plastic is designed to have an appearance similar to painted timber, but with the plastic construction you have the added benefit of no maintenance. UV resistant, the exterior of this box will not fade, chip, dent or peel, meaning it will retain its smart appearance within your garden for many years to come. 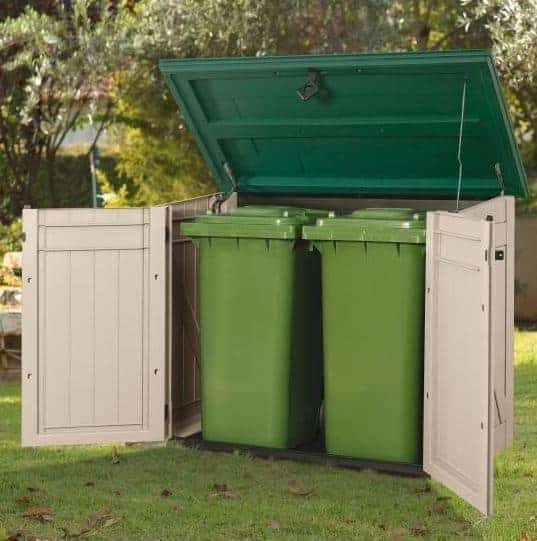 If you are buying this garden storage box with the intention of storing wheelie bins inside then you will be glad to hear that it is easily cleaned, inside and out, simply by hosing down with water or a soapy solution. Looking for a compact storage solution in which to store smaller equipment or bins with ease? Low maintenance and with a strong polypropylene resin exterior, this garden storage box will keep its contents dry and protected from the elements all year round. 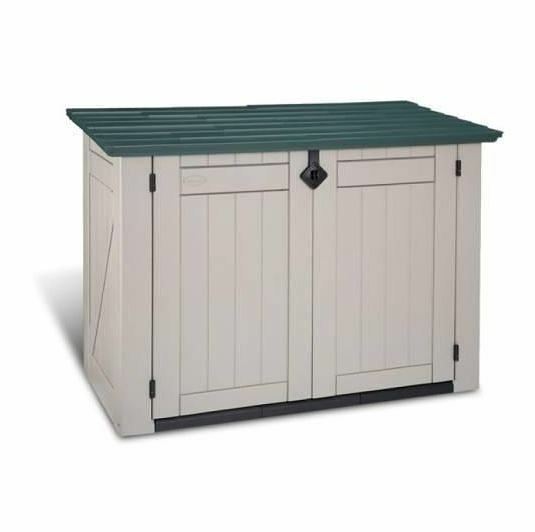 This attractively coloured box will blend into your garden effortlessly and at this fantastic price you could have two or three dotted around a larger garden for storing different types of items. Please can you help, this storage box was bought about 3 years ago, due to a house move never unpacked, now unpacked but no assembly instructions can you help? ?